When water finds its way to places it shouldn’t be, it can lead to the corrosion of your pipes. This leads to a vicious cycle where the more water that leaks from the corroded pipes, the more corrosion occurs. This process gradually continues until your pipes are destroyed. It’s easy to underestimate the potential that a small drip has to cause permanent damage to your home. If even the smallest drip is left unattended long enough then it can eat through something as solid as even concrete. Even more dangerous is a drip that is in the wrong spot. If a drip enters a particularly fragile environment, it could seriously damage or compromise the structural integrity of your home. The drywall behind your walls is not resistant to water at all. Therefore, even a little bit of water in your drywall can lead to serious problems. The water will cause your drywall the turn brittle, swell, and grow mold. It takes far less water on your drywall than it does on your wall to begin to grow mold. That means if you don’t see mold on your wall there could still be mold behind it in your drywall. If left untreated, the mold could continue to grow and damage your wall. 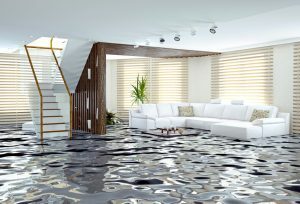 Water that comes flooding into your home could bring more problems with it than just the moisture. Even if you can’t see it, the flood water may contain sewage with harmful bacteria and microbes. Potential sewage damage from flood water could end up being much more dangerous than the flood ever was. Toxins from sewage can stick to and linger on your belongings even after they have been dried out. Even just a little bit of sewage left untreated could lead to serious health problems and consequences down the road. If you ever suffer from the misfortune of dealing with the water and sewage damage in your home from a flood, it is important that you know all the potential hazards that could come as a result. However, simply knowing all the hazards isn’t enough. You will want to contact a certified cleaning and restoration like RestorePro in Sandusky as soon as possible to begin restoring your home and to minimize the damage as much as possible.